On the 10th anniversary of when UN peacekeepers landed in Rwanda, Random House Canada proudly publishes the unforgettable 1st-hand account of the genocide by the leader of the mission. Digging deep into shattering memories, Dallaire has written a powerful story of betrayal, naïveté, racism & international politics. His message is simple, undeniable: Never again. 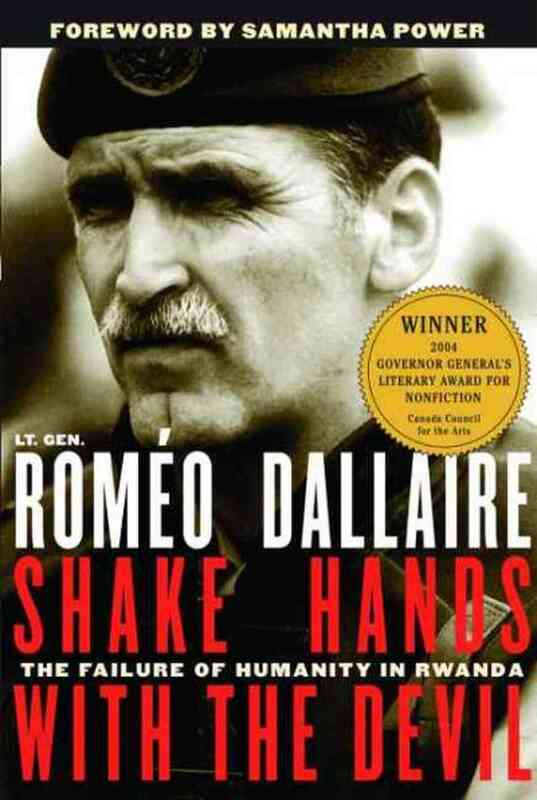 When Lt-Gen. Roméo Dallaire was called to serve as force commander of the UN intervention in Rwanda in '93, he thought he was heading off on a straightforward peacekeeping mission. Thirteen months later he flew home from Africa, broken, disillusioned & suicidal, having witnessed the slaughter of 800,000 Rwandans in 100 days. In Shake Hands with the Devil, he takes readers with him on a return voyage into hell, vividly recreating the events the international community turned its back on. This book is an unsparing eyewitness account of the failure by humanity to stop the genocide, despite timely warnings. Woven thru the story of this disastrous mission is his own journey from confident Cold Warrior, to devastated UN commander, to retired general engaged in a painful struggle to find a measure of peace, hope & reconciliation. This book is a personal account of his conversion from a man certain of his worth & secure in his assumptions to one conscious of his own weaknesses & failures & critical of the institutions he'd relied on. It might not sit easily with standard ideas of military leadership, but understanding what happened to him & his mission to Rwanda is crucial to understanding the moral minefields peacekeepers are forced to negotiate when we ask them to step into dirty wars.